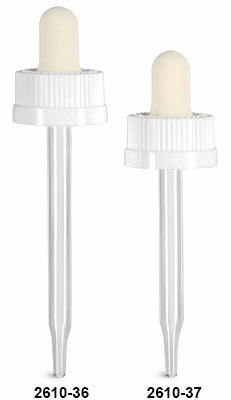 White child resistant bulb glass droppers are functional for an array of industries. The bulbs are composed of monoprene, the child resistant caps are polypropylene plastic, and the straight droppers are clear glass. These glass droppers dispense in a controlled stream or drops, which is useful for medications, essential oils, and more. 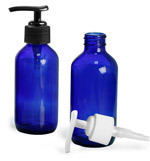 Select the Add-Ons button to choose from a variety of compatible bottles. The items on this page were replaced with new molds. Learn about the NEW child resistant droppers here!